We have what you need when it comes to office cleaning! 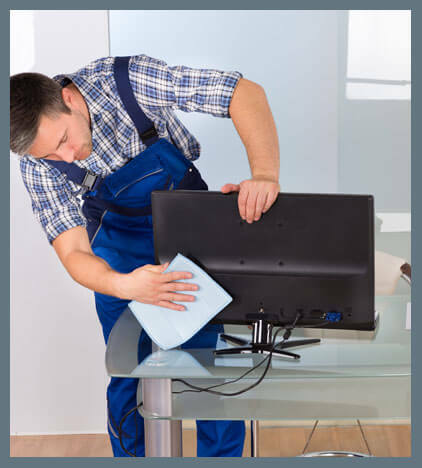 We understand that having a clean office is crucial to running a successful operation. But we also understand how challenging it can be to constantly maintain a clean office space; employees as well as visitors contribute to this challenge. A clean work space is not only a requirement, but it also helps improve efficiency and boosts staff morale. We at Like Clean Services Group in Adelaide, South Australia are here to help. Our team of experienced cleaners have worked in a large variety of workplaces, no office is too much of a challenge for our team of cleaning experts. Our knowledgeable and skilled staff use high tech cleaning equipment to provide the highest quality service possible. Our efficient cleaning staff and fine-tuned processes ensure that you will receive the most cost-effective office cleaning services in Adelaide. We serve a wide variety of customers around Adelaide who all have different needs. Our office cleaning service is tailored to your needs and is extremely thorough, to ensure that your workplace is a safe and healthy environment for your staff. Our office cleaning services have been fine tuned to ensure that you’re getting the most affordable office cleaning services in Adelaide. Our 100% satisfaction guarantee ensures that our customers are happy each and every time. Our professional cleaning staff use a detailed cleaning checklist for every office cleaning job, to ensure that your workplace is left sparkling clean time and time again. As a business, you have a responsibility to provide a clean and safe working environment for your staff. This not only improves productivity but boosts staff morale as well. A well organised and clean office space is imperative to a positive working environment; it ensures your employees are happy but also leaves a good impression on your customers and visitors. You need to ensure that your office space is well maintained at all times; it should be free of dust, dirt and allergens. Our professional office cleaning service will give your office space a detailed clean, using eco-friendly products, and high-tech cleaning equipment, leaving it spotless. We’ve proven that we are the most trusted office cleaning company in Adelaide; our customers are left satisfied every time. Our cleaning team will cover every area of your workplace, including the reception to lift and stairs, the kitchen/canteen, bathrooms, balconies and every space in between. 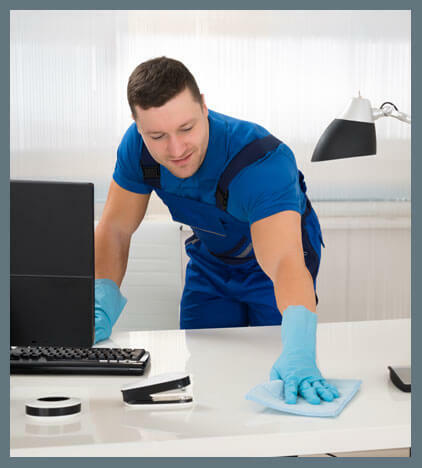 Our cleaning team is highly skilled and extremely efficient so be assured that we’ll provide you with the most affordable office cleaning service in Adelaide. Provide a safe and healthy work environment for your staff, and leave a good impression with visitors and customers when you use our professional office cleaning services! WHY CHOOSE US FOR YOUR OFFICE CLEANING IN ADELAIDE? We are customer focused and results driven, our team of cleaning experts works hard to provide you with the highest quality service at the best price. Our team of professional cleaners is highly skilled and knowledgeable. They know how to tackle any type of office space with ease, working efficiently and thoroughly. We’re dedicated to providing a tailored cleaning service to meet your businesses’ cleaning needs. From corporate offices to retail space, our cleaning experts have what it takes to leave your workplace spotless. Our expert cleaning team use a detailed checklist to ensure that they don’t leave any stone unturned, every inch of your office will be thoroughly cleaned by our team. At Like Clean Services Group in Adelaide we know that it’s important to provide a safe working environment for your staff. Our cleaning products are chemical free and eco-friendly meaning that your your staff are safe after our team have cleaned your office. Our cleaning products don’t contain any harsh chemicals, yet they clean just as well. Our eco-friendly cleaning products are extremely effective when it comes to tough stains and dirt, they sanitise your office space without containing those nasty chemicals. Have peace of mind that your staff and guests are safe when our expert cleaning team comes to your workplace to provide the highest quality office cleaning services in Adelaide. From corporate offices to retailers, we continue to serve businesses around Adelaide, providing the best office cleaning service available. Our professional cleaning team are highly experienced and fully trained; they’ve cleaned an array of offices around Adelaide. No workplace is too much of a challenge for our skilled cleaning team. All of our products are eco-friendly, ensuring that your office space is safe and chemical free. Our professional cleaning team are extremely reliable; they’re always punctual and work hard to meet our customers’ deadlines. We deliver quality office cleaning services on time, every time. You need us to clean your office! Offices can be hard to maintain and keep clean. That’s why we offer the most affordable professional office cleaning service in Adelaide. Our skilled staff use high-tech cleaning equipment and eco-friendly products to ensure that your office is left sparking clean. Forget about the hassle of maintaining your work space, let the experts look after it for you. We provide end of lease cleaning services with 100% bond back guarantee (T & C’s apply), as well as other professional cleaning services, so get in touch with our team today! CHOOSE US FOR ALL OF YOUR CARPET CLEANING NEEDS IN ADELAIDE! BOOK YOUR DETAILED OFFICE CLEANING! Call us to get an obligation free quote for all your office cleaning needs in Adelaide for a sparkling clean office space!